Swedish lighting manufacturer Profoto has announced a new 8-sided light modifier said to be "perfectly sized" for people photography. Swedish lighting manufacturer Profoto has announced a new 8-sided light modifier said to be “perfectly sized”. The latest in their line of RFi Softboxes, the 4ft (129cm) Octa is “not too small and not too large”, following the Three Bears approach to product design. “The new 4′ Octa fills in the gap in between the 3′ Octa and the 5′ Octa,” Profoto boldly asserts on its web site. Compared to a rectangular or square softbox, the roundish catchlights of octaboxes are better suited for creating natural-looking reflections in portrait, fashion and beauty photography. The Profoto RFi 4′ Octa is available now at B&H Photo, priced $299. 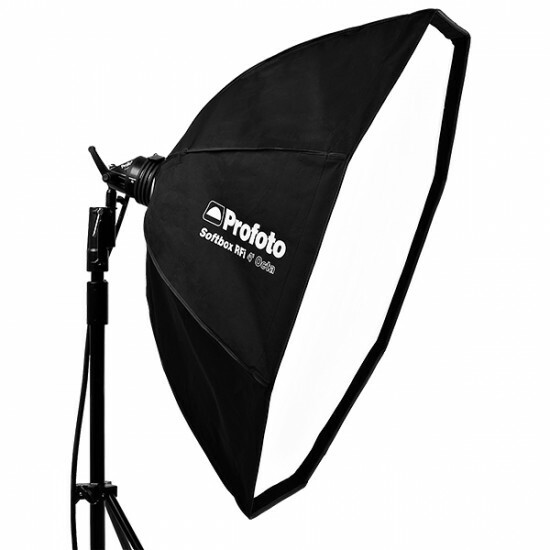 For more information and to see the other shapes and sizes available in the RFi Softbox series, visit Profoto’s web site.